Angela’s south-west facing garden meant that in the summer months the sun came straight through her windows, making her conservatory too hot. 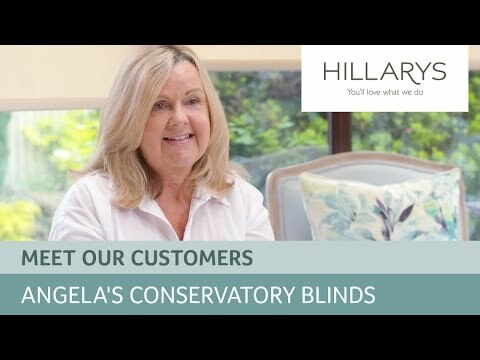 Already a long-time Hillarys customer, Angela booked a free in-home appointment to discover more about the conservatory blinds range. So what does Angela think of the end result? Discover how roof and side blinds from Hillarys can make all the difference in your conservatory.